Drainage around your property’s foundation is important to extending its lifespan. Find out some of the top ways that Dallas-Fort Worth property owners have taken the approach to successful foundation drainage. 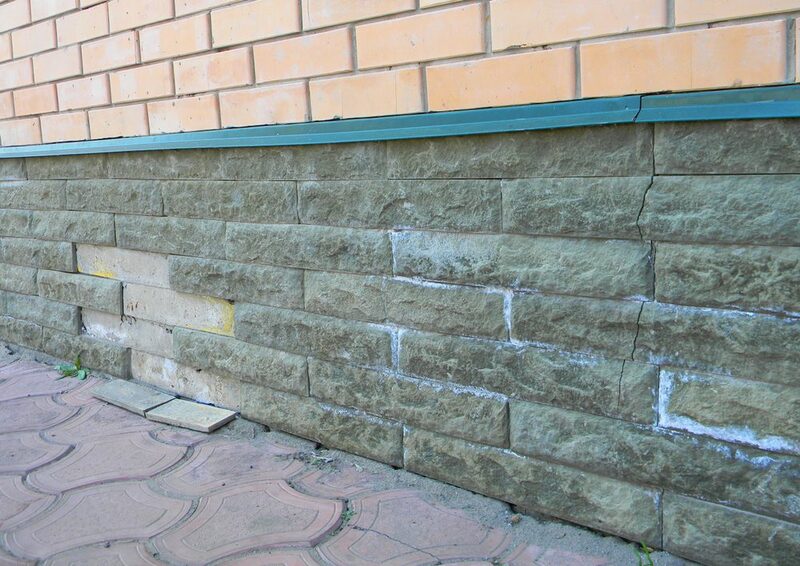 Foundation damage can occur because of many reasons, from moisture to excessive house settlement. However, based on information from the U.S. Department of Housing and Urban Development, one of the leading causes of foundation damage and failure to drain excess moisture is due to the layout of a yard and how its trees are placed. It is highly recommended that trees should be planted no closer to the foundation than to what their eventual height would be. This may sound like a nit-picky rule, but really it makes sense when you consider the foundation damage that overgrown roots can really have on a home. By planting the trees in your yard a certain distance from the foundation, you are preventing tree roots from filling perimeter drains and preventing the trees from absorbing all of the water from the soil surrounding the home. By preventing trees from absorbing all of the water from the surrounding area, you are taking the precautions to preventing settlement, which ultimately leads to foundation damage and repair. When examining surface drainage, it is important that surface water is easy to control. By controlling the surface water, one is ultimately controlling the soil moisture that resides beneath a home’s foundation. Your surface should slope away from the home. The degree of how steep your slope should be depending on the size of your property and what your foundation repair or replacement company suggests. Gutters are a simple way to protect your foundation from excessive water exposure. By utilizing downspouts and catch basins, you will be able to ensure that rain landing on your home drains away from the home and not underneath it. Subsurface drainage is important because they naturally serve as your last resort of foundation protection if water does make its way below the surface. When dealing with these types of pipes, however, you want to make sure that your contractor takes the necessary steps to prevent them from being crushed during the backfilling of your foundation. When focusing on your foundation and the state it is in, you want to pay close attention to soil moisture around your home. You don’t want to let your soil become too wet or too dry. Either case can create problems. Check with your local foundation company to find out how your home fares on its soil moisture. Foundation Problems? Dalrock Foundation Repair Can Help! If your home has suffered from excess exposure to water, moisture, or tree roots, then your foundation is at a critical risk for failure. If you have noticed any cracks, leaks or shifting in your foundation, then get in touch with Dalrock Foundation Repair today. Our professionals can guarantee an excellent job on any foundation repairs or replacement that you need. Contact us today to find out more about our foundation services.